I scratch built this out of three types of foam (pink insulation, EVA and craft) and PVC pipe. The foam is then hardened with a brush-able epoxy resin called Epsilon. The overall result is a large (38" long) but light-weight (1.6 lbs.) 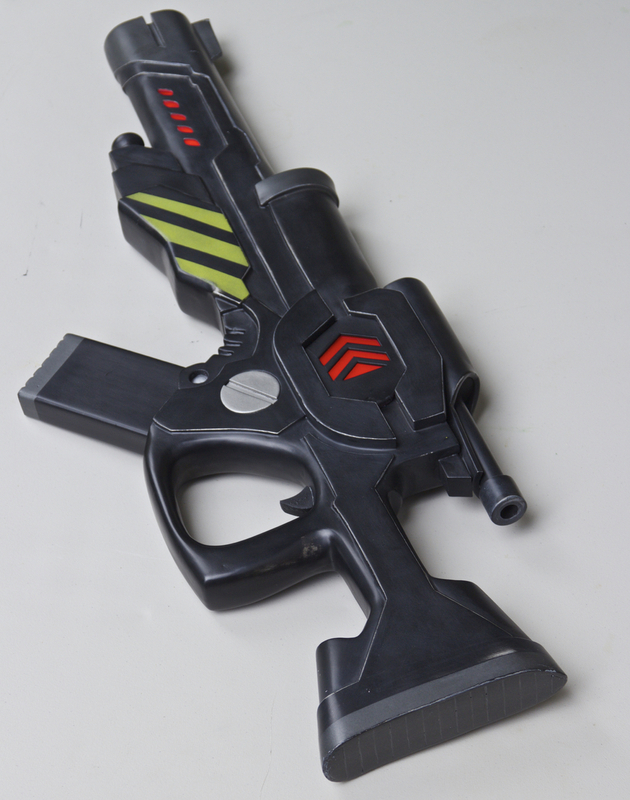 prop that is perfect for carrying around a con all day. 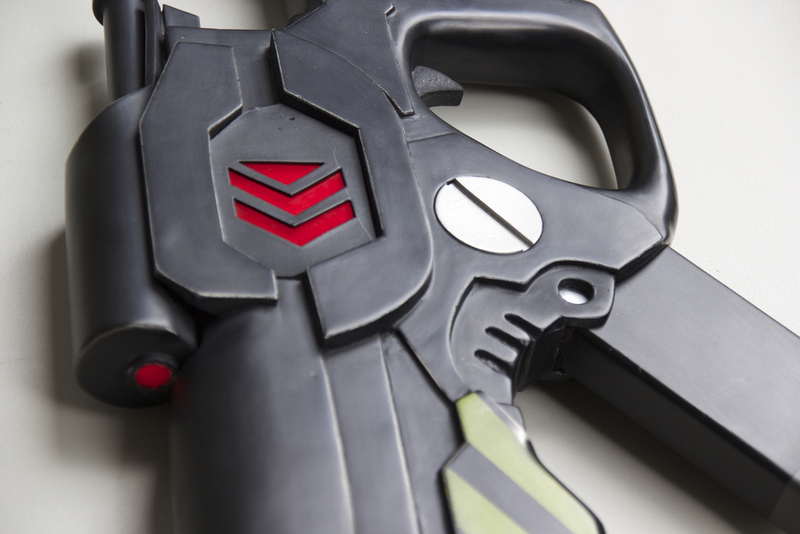 The rifle features a removable magazine that houses a 10,000 mAh rechargeable battery pack which powers approx. 50 red LED's.